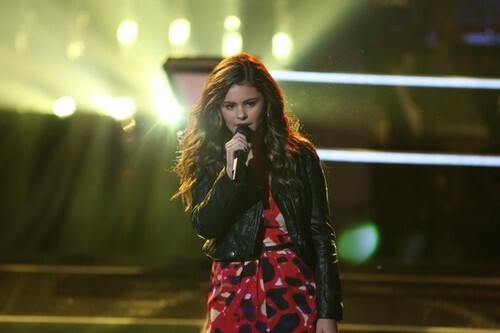 Jacquie Lee took the stage tonight on THE VOICE for his Top 20 video performance. Jacquie sang “I Put a Spell on You” by Screamin’ Jay Hawkins. Tonight’s show the top 20 performed live in front of coaches Christina Aguilera, Adam Levine, CeeLo Green and Blake Shelton for America’s vote and a chance to move on to the top 12. Did you miss tonight’s episode? If you did, we watched it and we recapped it here for you. If you missed any of the performances, you can see all the videos here! Last up tonight is the youngest artist Jaquie Lee, she use to be a normal girl who just sang for fun but really had the passion for it in the years to come. She loves being with Christina and write down everything that inspires her; she is singing “I Put A Spell On You”. Judges Comments: CeeLo says that she is just the absolute best; she is most certainly the future. Adam says making CeeLo vicious to win this competition and that she was amazing and can’t believe she is sixteen years old. Christina says that at this point she has grown so much and she is just honored to be her coach and see how much more she will grow in this competition. On tonight’s show Christina and A Great Big World will team on “Say Something.” On Thursday November 7th’s live show America’s vote will put through the top two artists from each team and the coaches will each save one artist leaving them to move on to the next phase of the competition. Check out the video below and let us know what you thought of her performance? Was it enough to send Amber through to the top 12? Sound out in the comments below and let us know your thoughts.